Solo Home Improvements ( S.E ) Ltd - Builder, Kitchens, Windows/Doors/Conservatories based in Colchester, Essex. 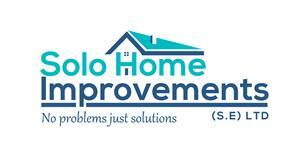 Solo Home Improvements S.E LTD is an independently run company that is big enough to cope but small enough to care. We pride ourselves in the level of knowledge we have in what we do and the standard we complete all works. We complete all works/projects from design/concept to completion of whatever job it may be so you can just enjoy the new house, space or product. All tradesmen are skilled, qualified and passionate in the works we do giving every customer complete piece of mind.